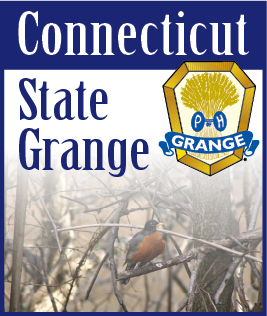 Your Grange is a recognized organization in your community. But how do you get more than just recognition? How to you get people talking about the projects, activities and events of your Grange, and also interested in joining your Grange? Word of mouth is 1000 times more effective than other forms of promoting your Grange. And the best part - it’s either inexpensive or free! A person praising the efforts of your Grange - be it online or in person, can have a significant impact on the decisions of that person’s friends, family and acquaintances. Word of mouth can influence the public’s opinion of your Grange. What does word of mouth accomplish? Take the time to come up with a word of mouth strategy for your Grange. Make the extra effort to take to people about the Grange. Don’t wait for the newspaper to publicize your upcoming event. Make phone calls to friends and family. Tell the person standing in line next to you at the grocery store about how much you had at the last Grange event. Work Grange into your conversations. Create a creative and compelling endorsement of your Grange. Share your positive opinions. And even tell stories of the past as examples of the foundation your Grange has laid throughout the years. Grange projects and activities should not be a taboo topic only discussed within the confines of your hall. There is no better promotion than word of mouth. When one of your members/ supporters/volunteers is excited and passionate about being involved with your Grange, they will tell their friends and family, and even random strangers they meet. When a member believes that your Grange is worth their time (and their dues money), they will shout it from the roof tops. Enthusiasm spreads - and attracts others to see what the buzz is all about. The new year is coming. Give your members something to talk about.